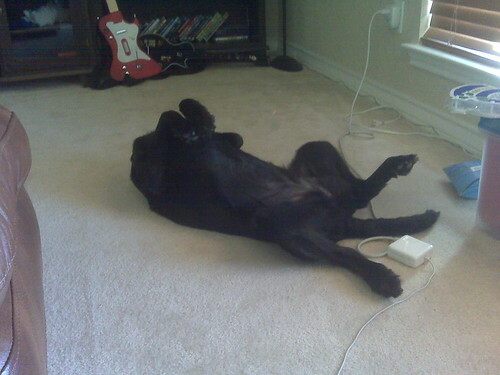 My dog, Belle, is weird. Belle is the best dog I’ve ever had. She is very gentle. She’s the only dog I have ever had that didn’t nearly bite my hand off when I handed her food or treats. She only barks when there is a stranger outside. She listens to your commands, and she is potty trained. All without ANY formal training. She is kind of weird though. This is a picture of depicting how she normally relaxes. She LOVES to lay down like this. She’s a strange one….